Real binary bot is another one of these free systems with only one real goal. While the website looks great and the software looks promising the main goal of the system is to only promote the I option binary broker. With this being said it’s hard to say that the software will actually be profitable because any software that is built for a brokerage will not print long-term. Brokers do not want to lose money so they are not going to provide you with software that’s going to take their money. It is really that simple so while real binary bot looks like it has some potential there is really no reason for you to download the system. Moving forward from here you will notice there are many other free systems like this. Generally these systems like the real binary bot are either trying to get you to sign up to a broker or they’re trying to get your email address. As I mentioned before the binary options systems that are trying to get you to sign up to a broker are never going to work. The binary options systems that are trying to get your email address they can’t work depending on the quality of the website you’re downloading from. 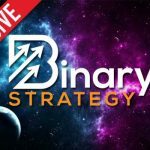 You’ll want to download from a reputable website like binary today.com because you already know that we have your best interests at heart. If you have something you would like to add to my real binary bot review I would appreciate you leaving a comment below. If you think I’ve missed anything or misinterpreted the software in any way please let me know. This review is not really a full real binary bot review is more like a warning and a timesaver. If you read this review then you likely won’t try this software and that is the goal that I have. Thanks for reading and come back to the binary today website any time. Plsi am new in this trading wrld, which signal system would u recommend for maximium output and profit. I’m sorry to say but i had the bad expierience also. I compared the signals with the realtime chart i use , and the signals are somehow ok but in the midle of the bolingerband so it is still a 50/50 chance. Maybe it can be fixed with some settings (only i can’t find out how) , another tought i had but not tryed yet is to use the RBB only at the markets overlap? Well i’m not intend to say it’s bogus but rather it needs finetuning. I funded an account because the broker offered an “excellent signaling platform with 80% accuracy”, Real Binary Bot….I can trade better just by going with the trader percentage majority posted on the broker’s trading platform. I have been fooled at least 3 or 4 times into funding broker accounts only to be disappointed with the software systems and trade results. 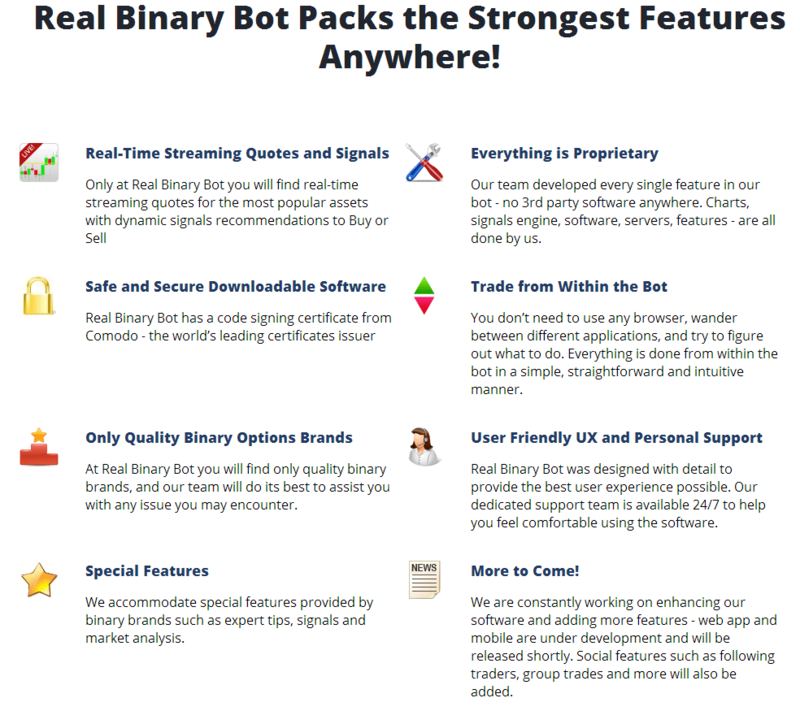 Real binary bot is more of the same, bot offers no introduction video (to get you familiar with the software) and absolutely no training on the correct method to trade when choosing from the barrage of conflicting signals that pop up and often change from call to put or vice-versa just after you have placed a trade. Similar to random xmas lighting on your xmas tree, bot flashes away with no substance or purpose other than to dazzle you out of your money. Does it mean the quality of such websites determines the success of the software? Not sure what I was blabbing about but the message I have about these free automated systems is stay away. Can you tell me where is the url of this so called Real Binary Bot as i would like to talk a look at it.